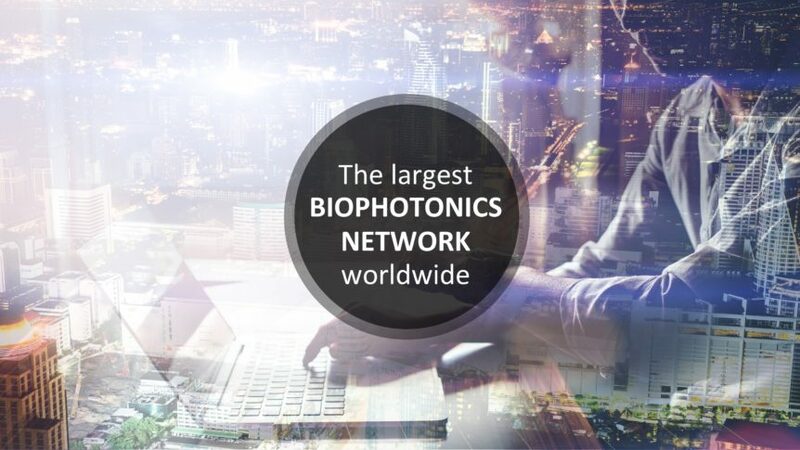 The largest biophotonics network worldwide gives access to latest news, events and job opportunities in the field and aims to bring the biophotonics community closer together. Biophotonics.World was launched during the International Conference on Biophotonics in Fremantle, Australia, on April 30th 2017. The new and rapidly growing research area of biophotonics makes use of light-matter interaction that allows to view and analyse biomolecules, cells, tissues or whole organisms. Prof. Jürgen Popp, scientific director at the Leibniz-Institute of Photonic Technology Jena, co-initiated the network that evolved from Biophotonics4Life, an international consortium of leading scientists in the field of photonic technologies for life sciences. “Our objective is to foster the translation of research results into innovative biophotonic applications such as new clinical diagnostics and therapeutics, bioimaging techniques and food safety monitoring. To achieve this, we need a truly multi-disciplinary approach and scientific exchange across all continents. With Biophotonics.World we established a global network of biologists, chemists, physicists, mathematicians and clinicians working together on a common aim”, says Popp about the mission of the platform. Biophotonics.World gives access to latest news and articles about recent scientific developments in academia and industry and provides up-to-date information on upcoming conferences, workshops and congresses. On top of that, it offers a unique networking platform connecting researchers and end users worldwide to share and discuss important findings, establish contacts to scientists and key players in industry, find new cooperation partners and discover organizations and companies in the field. Interactive components allow Biophotonics.World users to set up own profiles, share content, comment on others’ posts, send private messages, customize their individual newsfeed as well as follow other users, groups and organizations.